Print is a combination of science and craft. Our mission is to be at the top of our game at both. 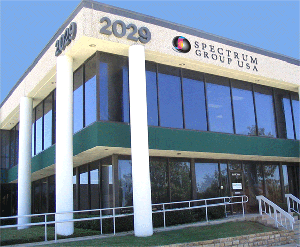 At Spectrum Group USA you will find an experienced team of knowledgeable professionals and dedicated craftsman committed to providing a full range of high-end commercial printing and mailing services to corporate clients across the country. Since our doors opened in 1996, our corporate vision has been to provide a level of customer service that’s a step above what you would expect to complement our printing services. To make this possible, our entire staff cumulatively has years of experience in the industry, in addition to extensive knowledge about printing and the related services we offer. Our customer advocates are available to you over the phone, in person, and online. Spectrum Group USA wants you to be assured that doing business with our company is a responsible choice with infinite possibilities, implementing green technologies, and creating outstanding results.